South Fork High School in Stuart played host to the 3A Region 4 Championship. 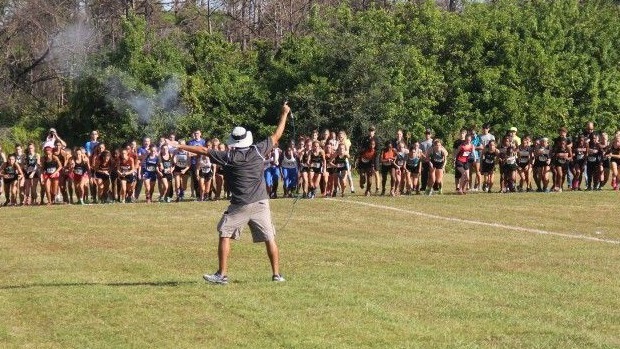 Teams from South Florida and the coast all came together for their final chance to punch their tickets to the Cross Country Finals. Julie Wollrath is used to winning. After all she has three 1A Cross Country Finals championships under her belt. The difference between those years and 2014 is that she was running for Holy Trinity. Now as a member of Melbourne High School's cross country team in her senior year, Wollrath is facing new competition and in a new classification, 3A. The recent UF committment held tight with Bethany Hardcastle of South Fork and Mikaela Hakamaa of Merritt Island. After a gradual separation a mile and a half in, she pulled away from the field to pick up her first 3A regional crown in a time of 19:19.90. Wollrath's credentials make her a threat every year regardless of class. Hardcastle, last year's regional champion was second in 19:32.30 with Hakamaa in third also breaking twenty minutes. Sixth grader Jinah Mickens of Mater Academy Charter was fourth in 20:21.00. 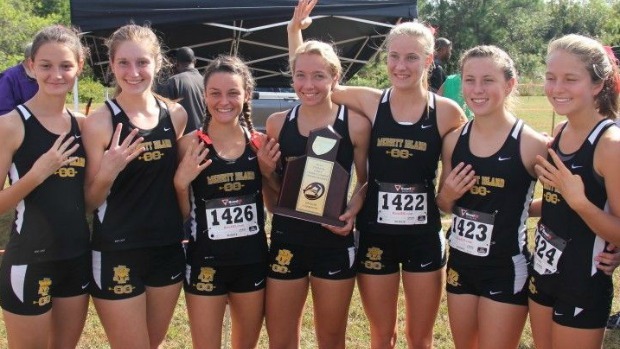 The Merritt Island ladies led by Hakamaa placed four in the top thirteen including two freshman and all five within the top 21 spots. The Mustangs scored 53 points to take their fourth straight regional crown. 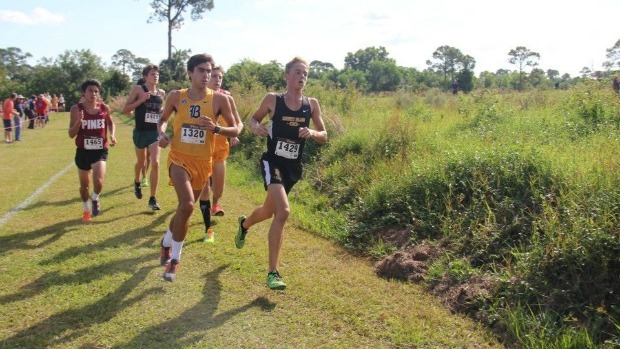 Miami Northwestern, South Fork, Mater Academy Charter, Doral Academy Charter, and Suncoast rounded out the six teams that will advance to the Cross Country Finals. The boys individual match up pitted Steven Cross of Meritt Island and Ryan Rodriguez of Belen Jesuit. The two met up at UF, flrunners, Pre-State, and here again with the regional title on the line. Cross bested him at UF and Pre-State while Rodriguez, a senior UF committ won flrunners. Who would win round four in this seesaw battle? The fourth and final installment gave fans a treat as the two went wire to wire with Rodriguez edging out Cross 15:46.73 to 15:47.31. The Pembroke Pines Charter duo of seniors Carlos Penaranda and Tomas Gimenez-Beron who finished third and fourth in 15:57.66 and 16:05.15. Garrett Camps of Melbourne rounded out the top five. 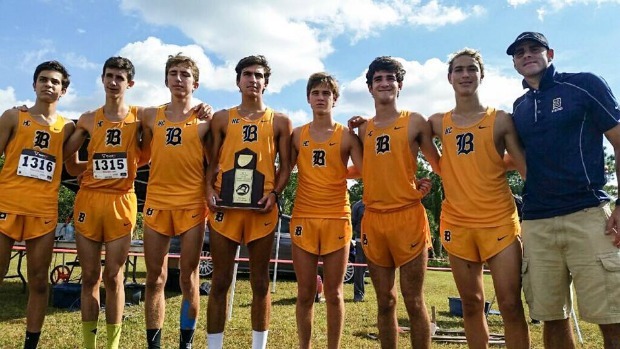 Belen Jesuit who has dominated the state scene for the past decade won the team title easily with 33 points placing five in the top 11 and seven in the top 17; a welcome gift for Coach Ruiz on his birthday. 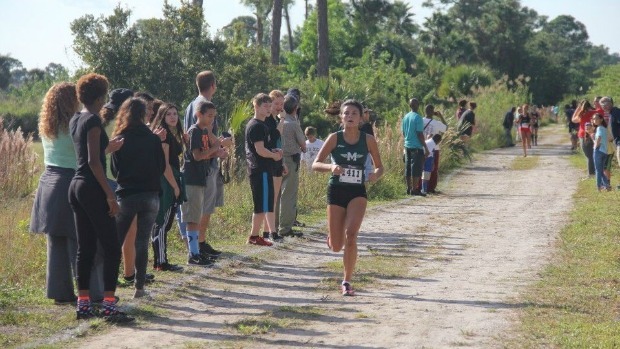 Pembroke Pines Charter led by Penaranda and Gimenez-Beron were second with 70 points edging out Melbourne who tallied 74 points. Merritt Island was fourth with 166 points while Archbishop McCarthy and Suncoast finished with an identical 167 points to punch the final tickets to state.